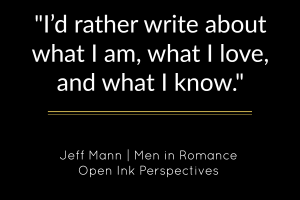 Jeff was asked to write a guest post for Men in Romance. Men in Romance is a series of posts focusing on the various experiences and perspectives of men who write romance. Read more from this series.